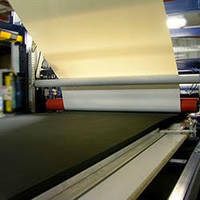 Wide Width Laminating offers single-pass efficiency. Made possible via 60 in. wide heat laminating system, Wide Width Lamination enablesÂ laminating ofÂ adhesives and cutting of sheeted materials in one pass. Adhesive can eb laminated to rigid and flexible foams, rubbers, plastics, textiles, FRP panels, and other materials. Also, it is possible to laminate both sides ofÂ material simultaneously for creation of single- or double-coated products in one pass. COLUMBIA, IL – Budnick Converting is happy to announce the addition of improved Wide Width Lamination capabilities. Budnick has recently installed a new 60-inch wide heat laminating system that is capable of laminating adhesives and cutting sheeted materials in a single pass. The latest addition to Budnick’s wide array of converting allows Budnick to quickly laminate adhesive to rigid and flexible foams, rubbers, plastics, textiles, FRP panels, and many other materials. Further improving this process, it is possible to laminate both sides of a material at once, creating single or double-coated products in one pass. The new laminating system will allow Budnick to expand its foam product line and complements current converting services, including die-cutting, slitting, and spooling. The new heat laminating system further illustrates Budnick’s commitment to enhancing productivity for their customers. 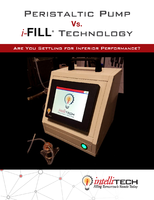 Customers will see reduced processing costs, improved adhesive bonds, tighter tolerances, and increased quality. Budnick Converting, Inc. engages in the sale and conversion of adhesive tapes and foams. Primary converting services include slitting, die-cutting, printing, spooling, adhesive coating, laminating, xyz axis table-top cutting, and waterjet and in-line laser cutting services. Budnick offers services for various industries, including appliance, aerospace, electronics, transportation, moving and storage, medical, and building supply. Budnick Converting, Inc. is a woman's owned enterprise. The company was founded in 1952 and is based in Columbia, Illinois, near St. Louis, MO.